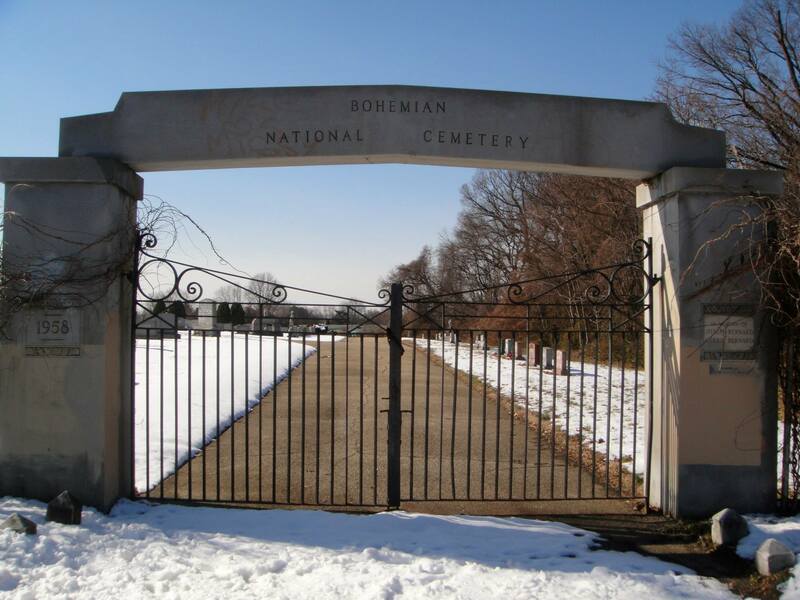 Dedicated on September 17, 1884, the Bohemian National Cemetery of Baltimore, MD of the Grand Lodge Č.S.P.S., also known as Česko-Národní Hřbitov, was founded to serve the needs of the Bohemian community. The area was known as Oak Hill when it was owned by Judge Thomas Kell. The judge left his land to Mary Ann Kell and Emeline Kell. 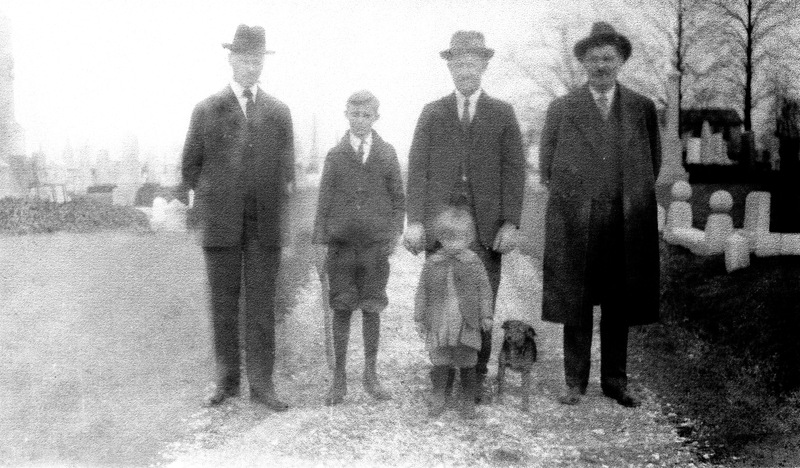 The property came into the hands of Richard Stumpf and was then purchased by Robert and Martha A. McClintock. During this period, the property was leased. On March 22, 1895, the Bohemian Cemetery Company of Baltimore City of the Grand Lodge Č.S.P.S. purchased the property from Robert and Martha McClintock. The 12.410 acres of partially wooded ground included space for social activities, a caretaker’s cottage and a carriage house, and the land on which the cemetery was founded. In 1897, the crypt was constructed. Frantiska Rohová was the first recorded burial. Like many Bohemian immigrants of the time, she lived on North Washington Street. She died on January 29, 1885, and was buried on February 2, 1885, at the age of 85. As a primary burial site for many Czech immigrants and their descendents, the cemetery remains a permanent record of our early years in this country and in some cases the only link that descendents have with their past. At the present time approximately 1/2 to 1/3 of the land has been sold for burial plots. Another 1/3 is available and is in the process of being cleared. As noted above, the property is more than a cemetery. It was also a site for the Czech school, for gatherings, and traditional cultural events. In the past Czechs would hold picnics and other cultural events on the open land and in the old house. From N. Rose Street, and the surrounding area, families would walk the distance to the cemetery. Those who lived further away took the streetcar to the end of the line and walked the remaining 5 miles. Even in the early 1900’s, people traveled by horse drawn “buses” from North Washington Street and Ashland Avenue to the cemetery’s open space where tables and benches would be set up. At a time when the people did not have very much money, they could always count on spending time with their friends and neighbors while also feeling close to those that had already passed, enjoying games, dances, singing folk songs, and eating traditional Czech food. Photographers would take pictures of families and friends sitting on benches or on the hillside. On Memorial Day, there was always a celebration and acknowledgement of the people who had passed. This tradition continues today. A representative of the Czech Embassy and a representative of the US military participate in a ceremony with Czech and Slovak Singers providing traditional songs and the anthems of all three nations. A wreath is placed on the grave of Sgt. William R. Jecelin, a twenty-year-old member of the Bohemian community who died heroically during the Korean War. He is the only Marylander to receive the Congressional Medal of Honor during the Korean War. In 2006, Lt. Col. Vladimir Kavan, one of the military attaches at the Czech Embassy in Washington, placed a wreath of red, white, and blue flowers on Sgt. Jecelin’s grave. For the past few years, a group of volunteers have been assisting in maintaining the grounds to supplement the work done by the paid grounds keeper. In 2007, these volunteers included, but were not limited to, Louise, Roger, and Jeanne Táborský, Jay Parekh, Josef Kokeš, David Reamer, Brigid Hollywood, Tom Miskimon, and Brian Reamer. Since the income of the cemetery was less than the cost of doing this work, the volunteers have for the most part been covering much of the cost of the materials and cost of many of the repairs. We continue to need volunteers to assist in the restoration. We are still in the process of completing restoration activities. In 2006, the city required that the cemetery be secured until the cottage, carriage house, crypt and main gate could be restored and security maintained. Tom Miskimon, Dolores Soul and a man who worked at her building, Brian Reamer, Louise Táborský, and Jeanne Táborský worked to secure the cottage, crypt, carriage house, and the gate. Brian and Brennan Reamer, Josh Bartels, Tom Miskimon, Sr. and Jr., Delores Gentes, several employees of SciRegs International, Inc. and some of the neighbors of the cemetery continued to work to clear debris and remove trash, cut down the overgrowth from the cemetery to the street, and provide the security to the cemetery to satisfy the city requirements. Reverend Rokos arranged to have memorial stones repaired and uprighted. Betty Jo Killian, her brother Rudy, and several neighbors helped to raise the cemetery main gate and secure that entrance. The gate has now been repaired. Brian Reamer and Josh Bartels repaired the damage to the back fence. Tom Miskimon and his son assisted with the help of others to cut down brush and remove dead trees. The cottage repairs are being lead by Roger Táborský. The carriage house restoration, being restored by Brian Reamer, Jeanne Táborský, and their helpers, is soon to be completed. There is still a lot of work to be done, and additional volunteers are needed. The property is open at the back gate from 10:00 am to dusk and additional time can be arranged by appointment. Contact information is on the gate. A gate keeper was hired by the lodge, and is helping with security and neighborhood watch. A new sign was designed and commissioned by SciRegs International, Inc. and put on the lodge gate before Christmas 2006, along with Christmas decorations from the volunteers. A new electric line was installed in the house. The web site for the cemetery is no longer active and informtion will be posted herein. The Historic Committee is working to update the historical documentation. Jeanne Taborsky and Shawn Gladden with the help of Eva Slezak and Louise Taborsky submitted an applied for an recieved state historic status. the final aspcets of submission are pending. We have collected a significant amount of historical data and accumulated historical photographs of the cemetery, Sokol gatherings, and picnics. We have formed various committees in order to restore and maintain the cemetery and reestablish the cultural center. Once restored, the grounds would also be available for other activities as it was in the past. We are looking for volunteers for the following committees: Restoration, Landscaping, Gardening, Preservation, Fund Raising, History, and Records. We also need funding to assist in the repairs to the back gate and crypt. The fate of the grounds keeper’s cottage is under discussion. A determination shall have to be made as to whether the property should be restored or reconstructed. We welcome constructive comments, ideas and assistance. This is an exciting time for us and we hope that you will join in supporting this effort. We look forward to having the property renovations approved by the city, the site declared historic, and restoring the property in time for the Memorial Day activities planned annually by Reverend Rokos. We will be posting activities and information on the site, and updating historical information. Please feel free to contact Jeanne Táborska, CEO and President of the Grand Lodge and Bohemian National Cemetery at 410-309-3145 (email Jeanne.Taborsky@SciRegs.com), Roger Táborsky, Board of Directors at 410-825-1161, or Tom Miskimon, Vice President of Cemetery Affairs at 410-529-3018 to join in the effort or become a member of the Grand Lodge Č.S.P.S. If you want to be added to the mailing list of the lodge, please contact Christina Condon at Christina.Condone@SciRegs.com. Hi, I’m looking for info on how to get the date of my grandmother’s death on her stone marker. She is buried with my grandfather and father, and they all share the same stone. Č.S.P.S. � Grand Lodge ČSPS of Baltimore” was indeed worth commenting on! Basically wished to mention u did a tremendous work. I personally would like to bookmark this specific posting, “Bohemian National Cemetary of the Grand Lodge Č.
S.P.S. | Grand Lodge ČSPS of Baltimore” Discount Roman Shades on my personal blog. to this place and its incredible history. Nia Redmond eastbaltimore101@gmail.com !